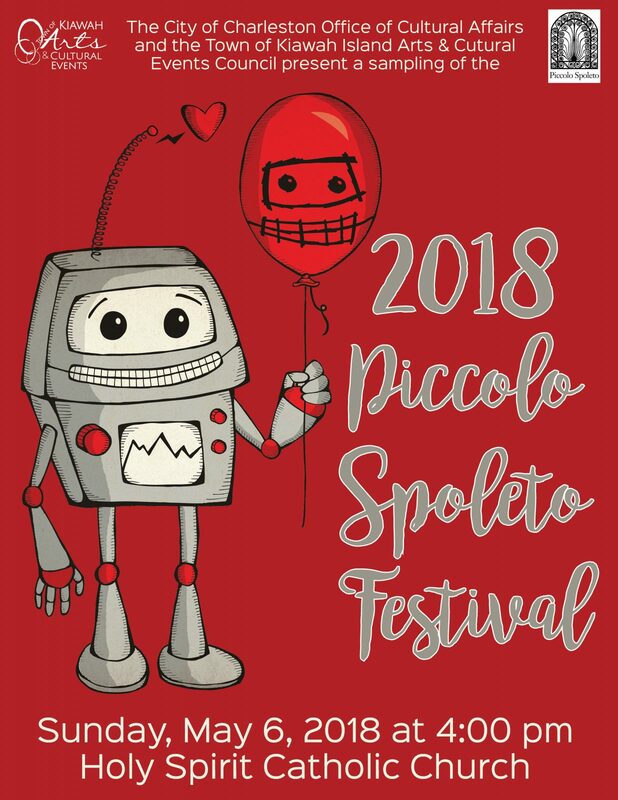 E-tickets available here 4/20 at 9:00 a.m.
Each year at this time, the Kiawah Arts and Cultural Events Council in collaboration with the City of Charleston’s Office of Cultural Affairs bring you a stellar preview of the upcoming Piccolo Spoleto Festival. Join us on May 6 to enjoy the Preview and receive your copy of the Piccolo Spoleto program. This season we will feature an especially star-studded cast of performers, led by Charleston’s piano playing Mayor, John Tecklenburg. Luminaries Lonnie Hamilton III and Ann Caldwell from the long-running musical production, “Sound of Charleston” will join the Mayor in performing selections honoring Charleston’s musical heritage, including Civil War camp songs, Gershwin, jazz, gospel, and Gullah spirituals. CSO Principal Flutist, Jessica Hull-Dambaugh and acclaimed soprano, Leah Edwards, will be joined by Professor Irina Pevzner at the piano in a program of music by American composers. This delightful afternoon will conclude with the CSO Brass Quintet, with Tony Marti and Greg Schoonover, trumpets; Brandon Nichols, horn; Carrie Bates, trombone; and Tom Joyce, bass trombone and tuba. Selections will include early music from composers Charpentier, Bach, and Gabrielli, as well as more contemporary works by Debussy and Bernstein. Be prepared for a rousing finale! Don’t miss this opportunity to hear these outstanding artists and sample what the always exciting Piccolo Spoleto Festival will be offering this season.